Ctalk specialises in Inbound and Outbound Contact Centre services. Ctalk provide solutions encompassing the following technologies: ACD; IVR; Speech Recognition; Automated Email Distribution; Web Chat; Outbound Dialling; Call and Screen Recording; CRM/Database Integration; Supervisor Monitoring and Analysis tools; Remote Home Worker capability and a Comprehensive Reporting Suite. 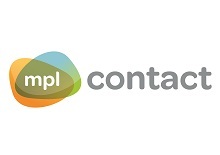 Mpl Contact provide overflow, out of hours, and outsourced contact centre services, either through our skilled bureau, or our flexible dedicated solution. Small enough to be flexible, large enough to be sophisticated. 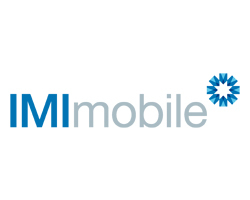 IMImobile helps to digitally transform the contact centre and enables contact centre agents to deliver a more efficient and better customer experience. Create the perfect blend of self-service and agent-assisted support using one-to-one digital communication channels. Premier CX is an independent creative agency that improves the way clients across the globe interact with customers. 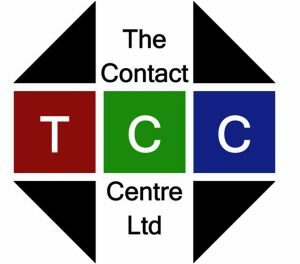 We work across all contact centre touchpoints to create a great customer experience whether that is over the phone, online, via email, video, text, live-chat or by post. With two decades of pure cloud experience, and over 20,000 concurrent agents, the globally provided Puzzel platform offers omni-channel contact centre functionality, open APIs, exceptional statistics and MI reporting. Thanks to its fast deployment, its user-friendly interface fully integrated with the major CRM systems and a superior support, Diabolocom enables organizations to provide outstanding customer experiences across all channels and improve their overall performance. RingCentral Contact Centre is a cloud solution, for the digital era, that offers powerful omni-channel capabilities. Coupled with workforce optimisation, it helps ensure maximum efficiency and increased customer experience. AFD Software specialise in validating and cleansing name, address, bank, email and telephone data. For the past 35 years, thousands of organisations have relied on AFD for their data quality. 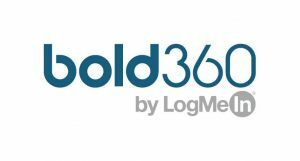 Worldwide leading provider of both cloud and on-premises software solutions that empower organisations of all sizes to make smarter decisions and helps deliver better customer service, ensure compliance, combat fraud and safeguard citizens. Telekonnectors are designers and manufacturers of customised telecom equipment for defence, aviation, enterprise communications & contact centres. A Leader in omni-channel communications integration, Content Guru delivers multi-award-winning cloud contact centre and customer engagement solutions to hundreds of the world’s largest enterprises. Award winning Cloud Contact Centres combining the best technology and expertise with the most comprehensive suite of professional services. We are also the Genesys PureCloud partner of the year. giosg combines data and AI with feature-rich technology to provide intuitive solutions that help boost online engagement, customer service efficiency and conversion. Multi-channel contact centre services delivered from the cloud, directory assistance solutions and customer experience management, providing insight and action to reduce churn, grow share of wallet and acquire new customers. Synthetix are leaders in AI-powered digital customer service including Live Chat, Call-back, Intelligent FAQ Search, Agent Knowledge-base and Intelligent Web Form for brands like Toyota, Boots, Virgin Holidays and McDonalds. Performance Telecom provides a suite of award-winning solutions and telecom services to businesses and contact centres. We partner with our customers to help solve many of their most complex challenges. 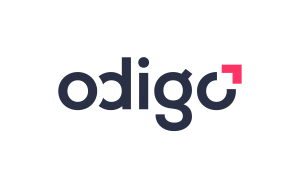 Odigo helps large organisations connect with individuals through world-class, cloud-based contact centre solutions. Our cutting-edge, proprietary technologies enable a seamless, efficient, omnichannel experience for your customers and a satisfying, engaging experience for your service agents. IFS Customer Engagement™ enables faster, smarter service by combining an omni-channel contact centre with CRM in a single, uniquely configurable, AI-powered agent desktop, enabling rapid service delivery however complex the request. Noble Systems is a global leader in the customer communications industry, providing innovative solutions for Contact Centre, Workforce Engagement and Analytics technologies. With expertise in customer engagement orchestration, and access to a world-class ecosystem of contact centre technology, Atos has the tools and experience to help you deliver your short, mid and long-term objectives. Our mission is to empower all organizations to build great Customer Experiences. We are a global provider of omnichannel contact centre solutions. Our solutions help organizations, regardless of the sector, unify all customer interactions and become more customer-centric.